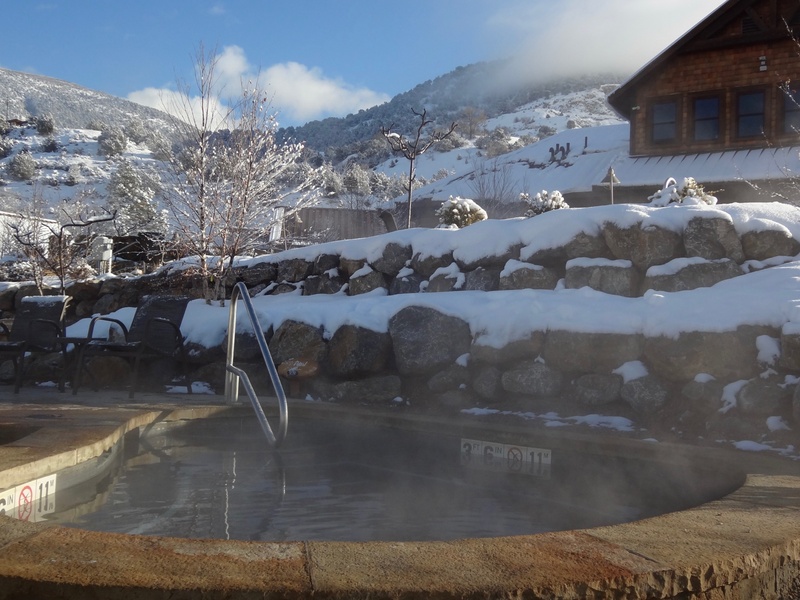 The Iron Mountain Hot Springs in Glenwood Springs caters to all who appreciate relaxing with a warm soak surrounded by mountain views. Offering 16 mineral hot springs soaking pools, ranging from 92 to 108 degrees, and a freshwater family pool with a jetted spa. 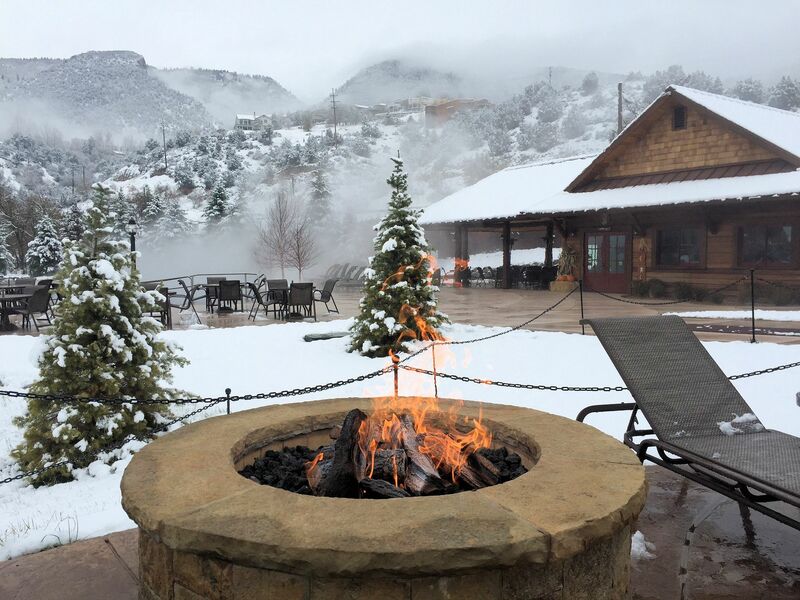 The resort is located alongside the Colorado River, just across from the base of the tram at Glenwood Caverns Adventure Park, with Rocky Mountain views that soothe and inspire. Take a break at the Sopris Caf or one of their poolside wait staff can bring your order right to you. The retail shop is stocked with personal care items and a nice selection of gifts, clothing and souvenirs.YOU MUST PRESENT YOUR TICKETS, which will be emailed to you after purchase. Re-entry allowed based on capacity at the time of your return. Hungry and thirsty? The drink shack offers smoothies, soft drinks, beer, wine and mixed drinks. The Sopris Café offers breakfast options, snacks, sandwiches, pizza, desserts, soft-serve ice cream, frozen yogurt, smoothies (with and without alcohol), beer, wine and mixed drinks. 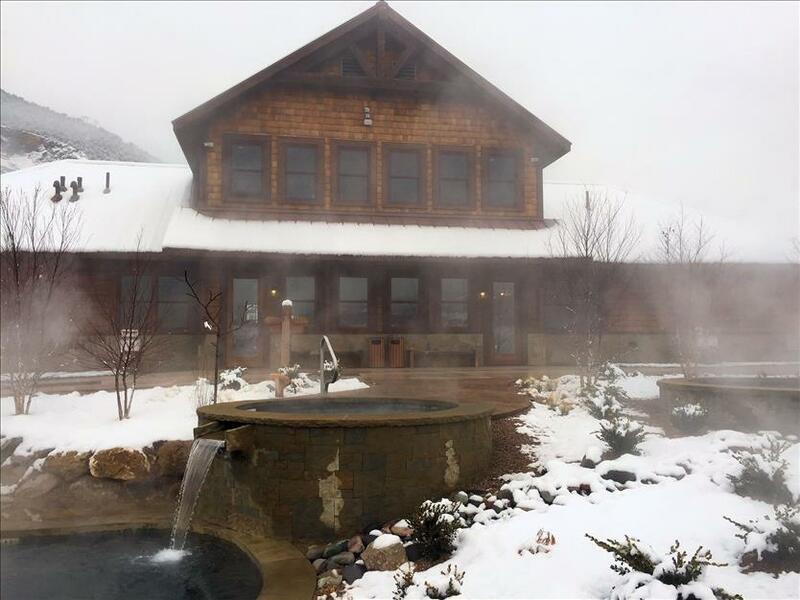 Choose from 16 mineral hot springs soaking pools and a freshwater family pool and jetted spa. Each varies from the next, with temperatures that range from 92 to 108 degrees and views that differ depending on where you're sitting. You'll find at least one pool that's right for you. The Sopris Cafe offers food, smoothies, drinks, and spirits all day. Water fountains and bottle filling stations are available in the bathhouse. 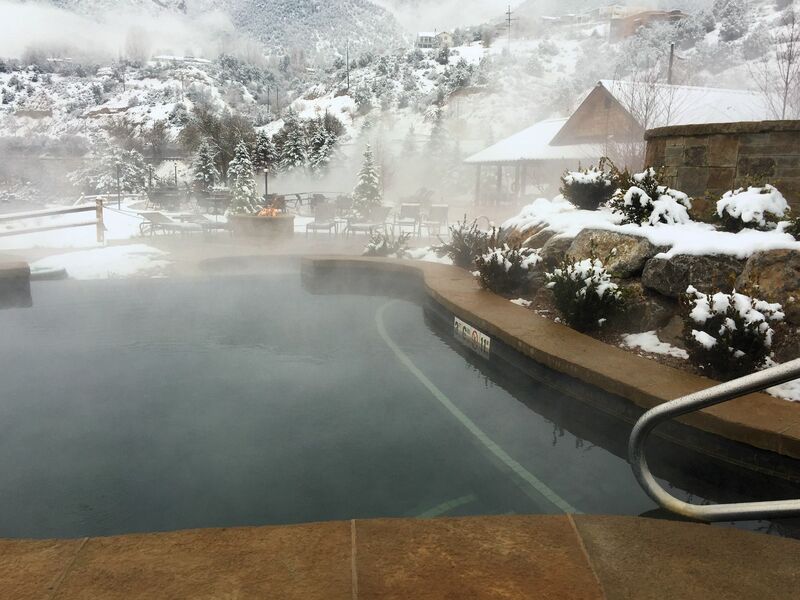 Iron Mountain Hot Springs is located at 281 Centennial St. in Glenwood Springs. From W 6th St., turn left (southwest) onto Devereax Rd., then right on Centennial to the end.